It's time to break out of our winter sweaters and put our cleaning clothes on. The snow is finally starting to melt, the days are longer and sunnier - sure signs that Spring is around the corner! Spring not only means the change in season but in our house it also means a change in our own home - SPRING CLEANING! Although the house does get a weekly cleaning, over the winter months things can accumulate from clothing to toys and just things in general. Dust appears to grow out of nowhere, you don't even want to look under the couch. The front hall looks like frosty the snowman melted and everyone's tired winter gear strewn about. You get the picture, the house needs some serious TLC! Out with the old, in with the new. It's time to declutter, degerm and make everything shine, one room at a time. Summer comes faster than we know it and we want to be out there enjoying the beautiful days, spring cleaning is a must-do! Putting dust in its place is easy with Swiffer 360 Duster Extender kit. Dust clings to it like static and with the extender, we can reach those areas we didn't know could have dust! I love using the Swiffer Dusters in those hard to reach places like between the cable box/blu ray player in the livingroom and they are gentle enough to get dust off the front of the flat screen tv. They are also great to get the kids helping out too, dusting the lower areas of the house. Opening up the windows when the weather warms up is a great way to naturally change the air in our home. Febreze is also here to help us avoid becoming nose-blind with Febreze Air Effects and Febreze Noticeables products from room to room. Once we get the house back in order we can make our way down to the laundry room. Tide Liquid Detergent is put to work to wash those tired winter snow suits, mitts, hats and anything else to put away for next year. Bedsheets, curtains and other household linens get a refresh plus a spritz of Febreze will keep them smelling great. Once the bathroom has a fresh shower curtain, clean decorative spring themed hand towels and everything from the sink to the toilet is sparkling clean, we like to place a fresh box of Puffs Basic Tissue on the side counter. It just gives the room that welcoming look plus, you never know when you have a nose in need! As a mom of 3 plus dogs, I'm happy P&G is here to help us get things going with great household products for just about every task we have on our spring cleaning list! Find your favourite products by visiting www.PGEveryday.ca and follow @PGEverydayCA on Twitter for the latest news and updates! Fill out the entry ballot below for your chance to win! Open to Canadian residents 18+ (excluding Quebec) with a valid email address. Mandatory entry must be done for extras to count. One mandatory entry per household. By entering AME giveaways you agree to our terms and conditions. You also understand your information is kept private and will only be shared with representatives of P&G for prizing purposes should your name be drawn winner. Posted by AME in participation as a P&GMom. Special perks are obtained as part of this program. Opinions and comments on this blog are those of the author. I use Swifter dry to keep the cat and dog hair at bay. I keep it handy and pass it at least once or twice a day as it is so easy to do so and, in doing so, I reduce the amount of big-time vacuuming that I need to do. Open up all the windows to get fresh clean air then dust. I use the Swiffer Duster to help. Open up those windows and let the fresh air breeze through the house,,,of course,,we can`t do that here yet,,as it is still snowing,and freezing!! My tip is to dust before vacuuming. I would use the Swiffer 360 Duster Extender Kit and to dust higher places and after all the dusting is done, vacuuming is done last! My spring cleaning tip is to open the windows and let the fresh air in. It will freshen the air and a spray of Febreze Air Effects in the air will fragrance the room. I take one room at a time and clean it thoroughly. I use Tide to wash all the bed clothes. My #1 tip is to hire someone else to do the first big clean of the year, then it's just maintenance from there. I like to use Swiffer Dusters to get all the dust out of my house. My #1 tip is open all the windows dust and then vacuum. I use my swiffer sweeper to dust the floors of all my closets! My tip is to open the windows as soon as weather allows and wash curtains in Tide so that they smell fresh. I like to use the Swiffer dusters to reach the hard to reach places to dust - they are great on blinds which a HUGE pain to wash! We dust everything with our Swiffer 360! My tip is to start in one spot and finish cleaning before moving on to another spot or room. Don't try to do everything at the same time. It's better to take the time to do everything correctly than to rush. I love my swiffer vac. Open the windows to get fresh air. I love fresh air from outside. 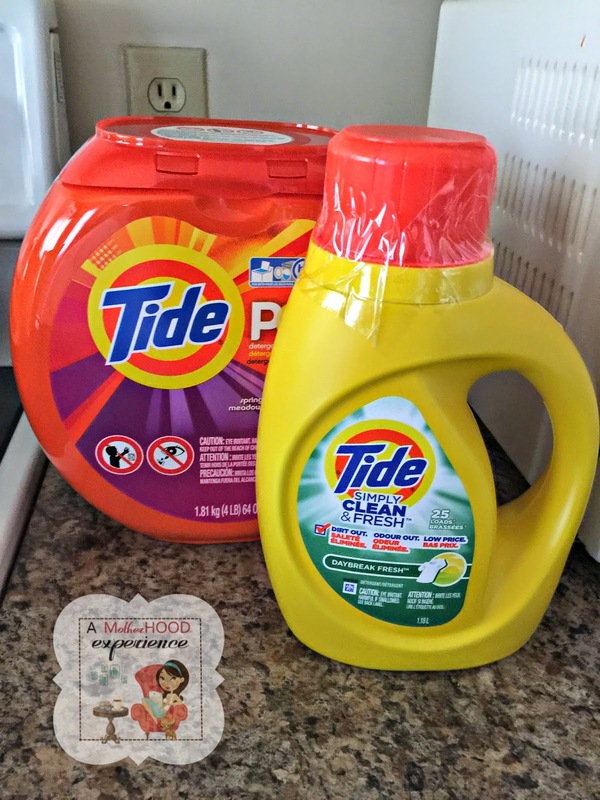 I love giving all the comforters and drapes a spring time wash in Tide liquid detergent to help getting the house smelling fresh! One of the best things to clean your windows without streaks are actually coffee filters! They leave no smudges....and the P&G product that helps with spring cleaning is bounce sheets. I use them to dry my dog after her seasonal bath, and they make her smell nice! My tip is to start by cleaning the blinds - then you can wipe/vacuum up any dust that falls during the process, continuing to clean "down" so that you are not cleaning, dusting, then recleaning. The Swiffer 360 Duster Extender Kit is great to assist with this! 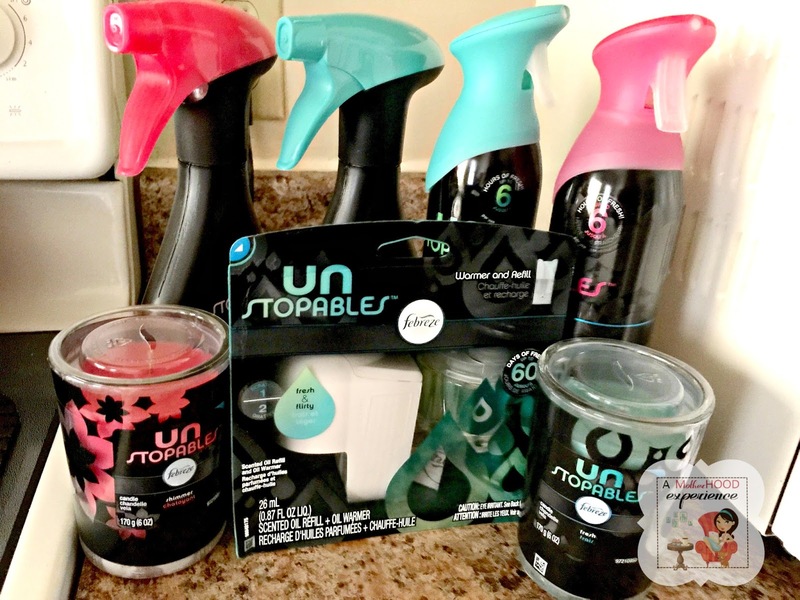 To wash your curtains with unstoppables in the washer. It will keep them smelling fresh! Open your windows and take the cleaning from room to room. Do not start another room until the first is completed! We do one room at a time and use Tide for laundry. I use swiffer duster as my #1 tip to not just push the dust around. Use three boxes when you start cleaning. One for things that belong in another room, one for items to donate, and one for items to be thrown away. Start with the ceiling fans with the Swiffer 360 Duster Extender Kit and work your way down and just do one room at a time!! I like to wash my "washable" curtains every spring and I use Tide liquid detergent. Open the windows, get some fresh air in and take your time! Swifter Dusters are my best friend and Unstoppable make my curtains smell so good! I've used swiffer duster for the blinds all year round, and Tide is great for the few curtains we have....totally freshens them up! I'm big on cleaning my windows regularly and the accessories that go with them....they accumulate too much dust so I try to stay on top of that. Best cleaning tip is to clean by room and using Tide liquid detergent helps with washing EVERYTHING!